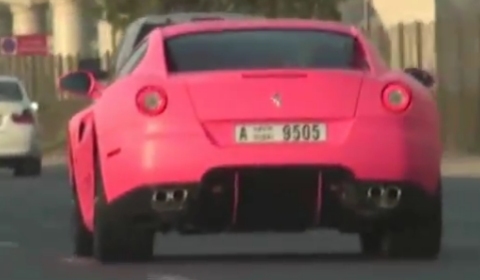 YouTube member 4WheelsofLux filmed this Matte Pink Ferrari 599 GTB Fiorano, on the Sheikh Zayed Road in Dubai. 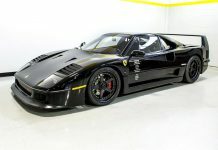 It is said that this Ferrari belongs to one of the members of the Royal Al-Thani family in Qatar. 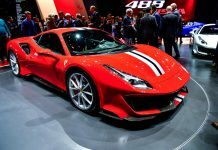 The Ferrari 599 GTB sprints from 0 to 100 km/h in 3.7 seconds and has a top speed in excess of 330km/h. 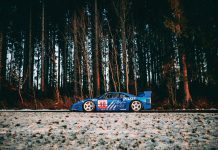 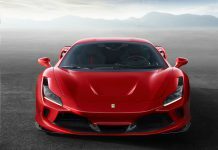 The car takes its name from the Fiorano circuit Ferrari uses to hone the performance of its track and road cars. 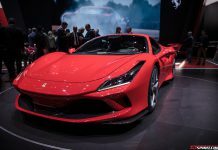 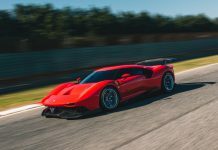 ‘GTB’ stands for Gran Turismo Berlinetta, after the most famous Ferrari berlinettas ever built, and ‘599’ is the displacement of the V12 engine divided by 10.